At the start of this winter, we took the photo above of the state-of-the-art 500k Concrete Batch Plant at the Hoopa Roads Aggregate and Ready-Mix. Although this topic was covered previously through local news channels, we want to highlight this impressive machinery on our social media accounts. In detail, this concrete batch plant is equipped with an advanced computer which is capable of helping automate the concrete production process; the computer is also effective at incredible accuracy and the ability to learn from each concrete mixture. This project was put into commission back in early Fall 2018 and continues to operate primarily due to revenue generated from concrete production. 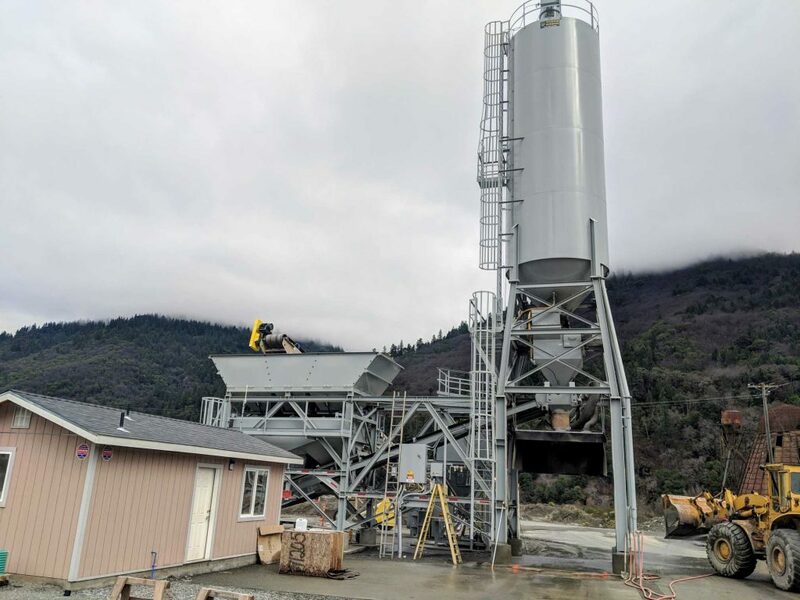 Additionally, the concrete made at this batch plant is utilized for numerous projects, including meeting the concrete demands for the Hoopa Shopping Center and Hoopa Valley High School projects. Current efforts, among other goals, are to develop and implement a wash out system which will allow the Hoopa Roads Aggregate to reuse water and aggregate.